Discussion in 'The Members Lounge' started by Ken The Kanuck, Jul 5, 2017. Do you have Marmots where you live. This is a picture of one at our cabin. A family decided to move in under the porch this year. I hope they stay as they are suppose to keep the pack rats away. O.M.A. and Owen like this. Here in PA, we call them groundhogs. Nothing like that in OZ...the closest? Quokkas! I got a chuckle this morning. First thing I thought of was this cute fuzzy guy (before clicking on the thread.) I was like hmmm, must be some sort of weapon. Lol Lived in Arkansas most of my life and I've never seen one there. Lived in Alabama 4 years, never seen one here. 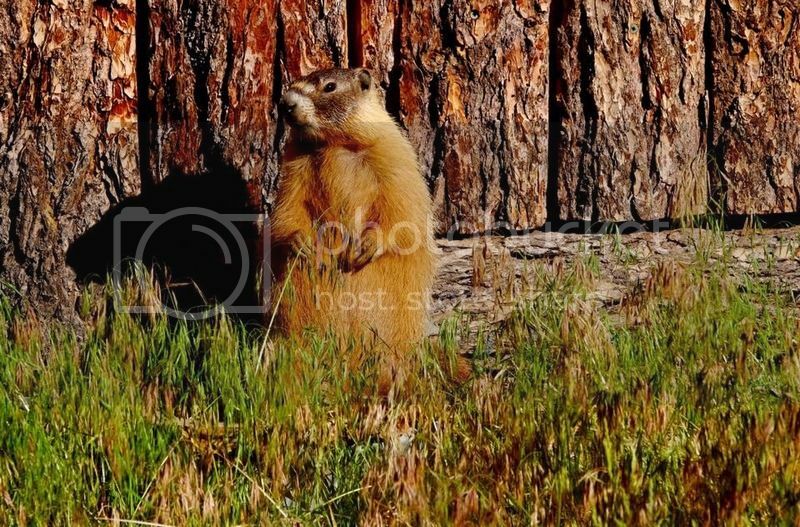 Here's a Hoary Marmot on Mt. Evans in Colorado. They are the high altitude marmot in North America.